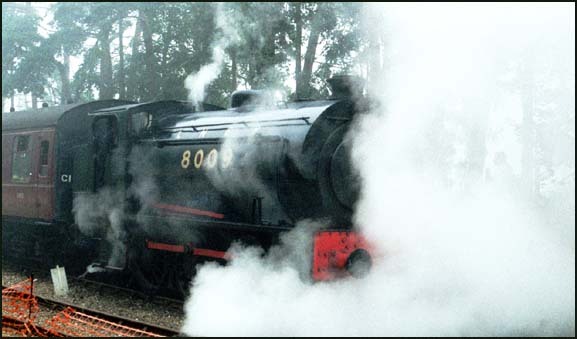 Austerity 0-6-0ST 8009 in LNER black at Holt station on the North Norfolk Railway in the fog. My Youtube video of 0-6-0ST 8009 below was taken of this engine on the same day. The fog or was it sea mist lifted at Holt later on but was still at Weyboure in the afternoon. I hope you enjoyed this short video. Today Virgin East Coast, Central trains and DRS are just some of the names on the trains. These names keep changing, but that means I have to keep taking photos. I also take photos of other preserved railways with steam diesel and electric trains.There is lots more railways to add and I keep taking More!